Whether you want to go back to having the flat, firm abdomen of your younger days or you want to get the flatter belly you’ve never had, you may be a suitable candidate for abdominoplasty, also known as a tummy tuck surgery. Abdominoplasty is an ideal way to address a variety of aesthetic abdominal issues that diet and exercise simply can’t correct. 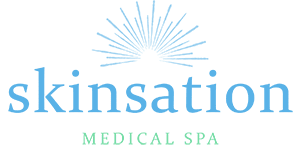 At Skinsation Medical Spa in Goodlettsville, Tennessee, Dr. Nadja Colon offers abdominoplasty to men and women in the Nashville region. To learn more, call the office or book your appointment online today. Abdominoplasty, or tummy tuck surgery, is used to create a smooth, firm abdominal profile by removing excess fat and skin and restoring weakened or separated muscles in the abdominal wall. Because abdominoplasty can also remove stretch marks on your lower belly, the procedure is especially popular among people who’ve experienced significant weight loss. It’s also popular among postpartum women, as it’s an excellent way to repair the abdominal muscle separation that commonly occurs during pregnancy. Is abdominoplasty right for me? Many people want to achieve a flat and well-toned tummy. The trouble is, diet, exercise, and weight control can’t always make that goal a reality. That’s because your abdominal area is prone to a variety of aesthetic issues that don’t respond to traditional approaches like diet and exercise. People who are at a relatively healthy body weight can develop a protruding abdomen if they’re genetically predisposed to storing excess fat in their belly. Others may develop loose, saggy skin after surgery, pregnancy, or weight loss. Aging can also lead to weaker abdominal muscles, sagging skin, and other changes that don’t necessarily respond to exercise. Tummy tuck surgery is not meant to be used as a substitute for weight loss or exercise. Although it delivers permanent results, those results can be compromised by significant future weight changes. That’s why women are advised to postpone abdominoplasty until they’re done having children. If you’re generally overweight, or if you’re still in the process of losing weight, you may also need to postpone the procedure until your weight is healthy and stable. Smokers, people who have had previous abdominal surgeries, and those with a lot of intra-abdominal fat around their internal organs may not be suitable candidates for abdominoplasty. Before your abdominoplasty procedure, you’ll be required to undergo a comprehensive physical exam to make sure you’re fit for surgery. Dr. Colon gives you complete preoperative instructions, including when you should stop taking certain medications. Abdominoplasty is performed under IV sedation and requires a substantial amount of recovery time. The first week will be the most challenging as your muscles heal, and you’ll need to take it easy for at least six weeks after the procedure. At your follow-up appointment, Dr. Colon provides individualized care and instructions, and answers any questions you may have about your recovery and healing.